I got Votre Face Serum in my January Fab Bag and was super excited to try it out. I got many emails from my readers to review it and here I am with my review after trying it out for 25 days. If you are looking for super light serum in this hot weather then read on. Votre Face Serum* is priced at Rs 1670 and you can BUY ONLINE on Fab Bag website or Flipkart! Dropper is really convenient to use! It is milky white in color! Votre Face Serum comes in a dark brown glass bottle with a dropper lid. The dropper allows you to measure drops accurately without wasting the product. The dark glass bottles preserve the aromatic and therapeutic properties of oil in the serum. Since the bottle is made of glass you cannot tote around with it! The serum is milky white in color with lovely and refreshing scent. Though I was not able to detect the scent but it smells somewhat of roses. The scent is very refreshing and instantly soothes my senses. The serum can be used twice daily but I use it as night treatment. I simply take 3 drops of serum and rub it gently between my palms. I then pat it gently all over my face and neck. The formula of the serum is perfect. It is neither very runny nor very thick. It gets absorbed into the skin in a jiff and does not leave sticky residue behind. I have combination skin and I do feel the need to moisturize my cheeks with a separate moisturizer. If you have oily skin, you will love it a lot! The serum is very light and my T-zone does not get oily when I wake up in the morning. My skin feels fresh and though I would not say it brightens up my face but a healthy glow is surely visible. Skincare products need "time" to really see its effectiveness! It does not clog pores and is great for people with acne prone skin. I have not faced breakouts whilst using this product. I do not have fine lines so could not share my experience regarding it! It is a blend of cold pressed virgin oils that is great for keeping skin healthy and supple! - The dropper packaging makes it easy to control the amount of product needed! - Makes skin smooth and moisturized. - Feels extremely light on the skin. - No breakouts. It does not contain comedogenic ingredients. - Too light for dry skin. You will need to follow it up with a moisturizer or night cream. - No full list of ingredients mentioned. Overall Votre Face Serum is a great serum to keep skin healthy and supple. I would not say it did miracles to my skin but I have noticed a healthy glow to my skin whilst using it. It is an ayurveda product and contains all good ingredients. I would definitely recommend it to people with normal, combination and oily skin! If you love splurging on serums then you can GO for it! - Follow it up with a moisturizer if you feel the serum is light for your skin! - Can be used as a base for makeup. 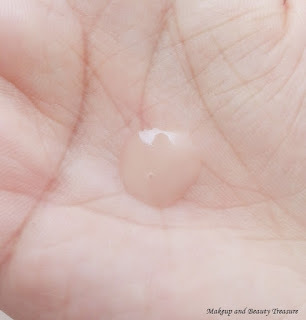 - Always check for the ingredients if you have sensitive skin. Do you use serum in your skincare regimen? I have oily skin and this works perfectly. Adds that bit of hydration I need and doesn't feel heavy. Yes Sangeeta it's great for oily skin!!! I really loved all the votre products. especially the Face serum, it's just amazing with a very pleasant fragrance..The serum does a wonderful job !! I need to try their other products!!! I agree scent is so soothing!!! OMG... what A SERUM ...! !Looks like a great ... it moisturize well ...Would love to give it a try :) i will buy it in my next purchase..!!!!! Do try it. It is really great for oily skin!!! It has a nice fragrance ..!! Great review thanks for sharing...!! I use this serum along with my foundation. It's a perfect blend with the foundation for an even and smooth application. Leaves my skin looking dewy. It's perfect for my oily skin. The serum is very light. Thanks for the Honest Review, Its because of bloggers like you that our valued customers get to know about the brand. We believe in Organic growth at Votre and we have been successful so far. The reason Votre products are priced in a higher side is due to its Active Molecules imported from Tokyo & France that goes into each product. We believe in product efficacy and results yet we strive to keep the product natural, chemical free & absolutely botanical. There is special RnD team that constantly strives to make the products better. Thanks for all your Love & Support. Amritaa Khurana, CEO, Votre India. Hi Amrita thanx so much for throwing light on the base of your products. I have always appreciated organic products!